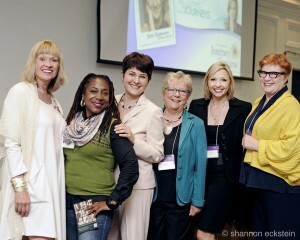 On May 28, 2013 I had the privilege of MC’ing Company of Women’s Journey 2 Success conference at the Oakville Conference Centre. This event will no doubt go down as one of the highlights of the year for me. Not only because it was so much fun, but because there was so much wisdom that came from the amazing group of keynote speakers and panelists involved to share their experience in (re)building their businesses. Sometimes this occurred after personal events forced these women to change career course, and sometimes the growth came in an unfolding, scene-by-scene kind of way. Kind of like improvised comedy scenes, complete with unexpected laughter, jeering, and confusion about where to go next.